Welcome to Avonworth Chiropractic, your chiropractic center in Emsworth, Pa. 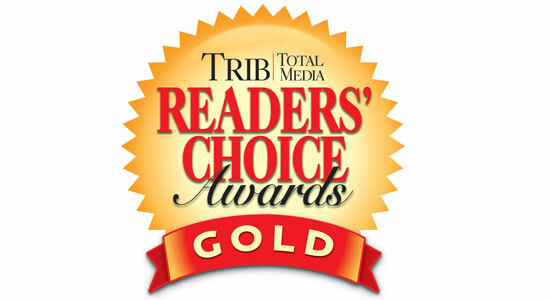 Thank you so much to our wonderful patients that voted us the 5 time Best Chiropractic Business in Bellevue/Emsworth/Avalon (2013, 2014, 2015, 2016, & 2017), Leetsdale/Avonworth (2016), Sewickley/Beaver County (2016), & Brighton Heights/Perrysville (2014), a SILVER MEDAL for the entire North Region of Pittsburgh (2013), and Voting us the 3 time GOLD MEDAL AWARD WINNER as Best Chiropractic Business in the entire North Region of Pittsburgh (2014, 2015, & 2016) for Chiropractic!! Avonworth Chiropractic is a full service chiropractic clinic serving Emsworth, Bellevue, Ben Avon, Avalon, and the surrounding communities. We specialize in treating various health concerns utilizing chiropractic care, massage therapy, rehabilitation, physical medicine, and nutritional/hormonal counseling. Dr. Jacob Barlow is a chiropractor committed to providing pain relief for many symptoms and conditions so that you can have a higher quality of life. Don't just take our word for it though, visit our "success stories" page to see what our patients have to say. At Avonworth Chiropractic, you will receive the best care through the use of modern chiropractic techniques and technology. Dr. Jacob Barlow and the staff at Avonworth Chiropractic have a genuine concern for your well-being and health! Call us today and we can develop a chiropractic plan specific for you. To receive free wellness and health articles subscribe to our bi-weekly newsletter. If you are already a newsletter subscriber, please explore the member wellness section of our website for animated exercise videos, wellness articles, chiropractic resources, and health facts specifically targeted to your wellness needs and interests by Dr. Jacob Barlow. "I come here for headache, neck pain, and back pain. It has really helped me to feel better. The massages are AWESOME. I look forward all week to my visit and it is the bright spot of the day."